I attended a really interesting program this past week at Del Val, sponsored by the Bucks County Foodshed Alliance, about food insecurity and social justice. Did you know that there are at least 65,000 people in our county who are not assured their next meal? 1/3 of them are kids. 1/4 of them are seniors. Many actually have jobs. Those numbers were hard for me to grasp, since I’m lucky enough to be able to join a CSA and shop at local farmers markets, packing away food in my freezer and pantry. There was talk about what it’s like to run a food pantry, and the reality that they get mostly donations of canned goods, pasta, rice…..and it’s often not even the quality of what we would feed our own families. The push has been to provide fresh produce as well, for those who have the ability to cook it. In steps Rolling Harvest Food Rescue, an organization that gathers excess food from farmers (what they can’t sell or get out of the field fast enough) and delivers it to food pantries and distribution spots. There is also the Carversville Farm Foundation, a nonprofit that raises food specifically for those who don’t have access to it. They distribute from Bucks County all the way to Philly and Camden. There was also conversation about how many local CSA’s include free/donated shares for those who do not currently have the ability to pay. Conversation among the attendees included how some churches get leftover bread from Panera and make sandwiches to distribute to homeless youth. I was really pleased to see that more than half the attendees were under 40, and eager to find ways to get involved. Did you know that many local houses of worship feed the homeless? It has been organized in a way that every single day is covered, and buses go to the tent cities where the homeless live and bring them to the facility for a multi-course sit down dinner where they are served like guests. Here’s a current calendar of the sites involved. Kudos to them! All of this made me really happy, both at what is already going on and the potential for so much more. Other groups that were mentioned: NJ Farmers Against Hunger, Ample Harvest (which connects community gardeners who have grown more than they need with food banks where they can share), Bucks County Food Runners (which gets food that might be wasted from restaurants to shelters and food pantries that can use it), and College and University Food Bank Alliance (cause even college students aren’t food secure; we don’t want them eating ramen noodles). I’d suggest that you look into these groups, perhaps get involved in whatever way you can. Your time and energy would be fabulous. Your financial support is always welcome. Just remember that among the food insecure, there is a 2.3x increase in diabetes and a 2.5x increase in hypertension. We can help these folks be healthier. Fred Rogers is quoted as saying “Look for the helpers. You will always find people who are helping.” Let’s be them. The article goes on to talk about how each major religion offers it own sense of the human condition, and how our sense of reality is broadened by becoming familiar with multiple religions, in the same way that we broaden our world by knowing multiple languages or by travel. The author has edited a book called The World Wisdom Bible which pulls text from many different holy books from different religions, showing that many traditions have wrestled with and talked about the same issues in the human condition. Rabbi Shapiro hopes to get us all talking. He has suggested the creation of “Cup of Wisdom” groups, a gathering of seekers and questioners, to have a cup of tea and discuss passages from these texts and how they might apply to our lives, either in the form of what we were taught growing up or in the form of how it might impact our current outlook on life. You may know that I really, really don’t like small talk. I DO, however, like BIG TALK……conversation about matters of substance, especially if it means I can learn something new, be exposed to a different way of looking at the world, finding what we have in common when we think we’re so different. And I’m so horribly tired of the alienation that exists in our nation right now. So, I jumped in. I’d like to start a Cup of Wisdom group beginning in January 2018. It goes like this: Shapiro’s group was gifted a big grant to get these started, so we can get copies of the book (and mugs for the tea!) to get us going. They ask that we help “pay it forward” so other groups can form, so a one-time donation of $25 each to send back to them will allow them to send the next “starter kit” out. (There is the caveat that if someone really wants to be involved and really can’t afford this, they’ll send things out anyway). I imagine that we would meet for a few hours on a Sunday afternoon, once a month, and discuss one chapter each time. (Other groups I’ve spoken with meet weekly, but that doesn’t work for me or for most people!). I’m hoping to gather folks from very diverse backgrounds–some agnostics, some atheists, some whose spirituality is nature-based, some who identify with one of the major religions of the world. The more diverse the better. I’d like folks to join if they plan to take it seriously and attend as many meetings as possible, though I understand that there will be fluidity about that. Start date: Sunday, January 21, 2018 (we’ll stick with the third Sunday of the month) 4-5:30pm. First meeting will be at the office, though we can move this around if you like. 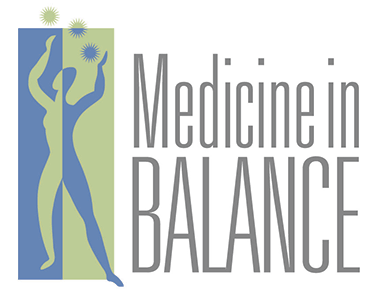 If you’re interested in getting involved or have questions, please contact me directly: DrWarner@medicineinbalance.com. Please include “cup of wisdom group” in the subject of the email. Tell your friends, as this is open to anyone, not just patients of MIB.